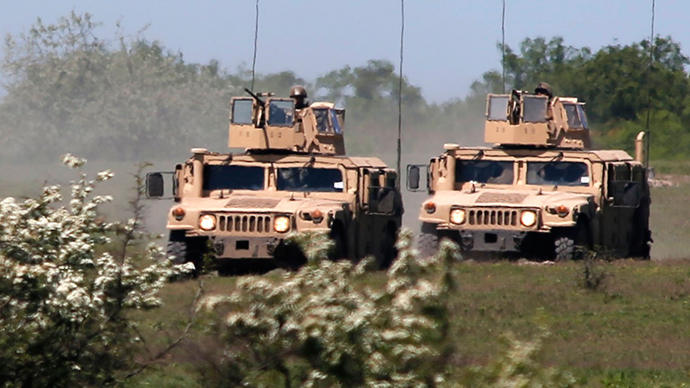 Ukrainian authorities received the first batch of American Humvee vehicles on Wednesday. 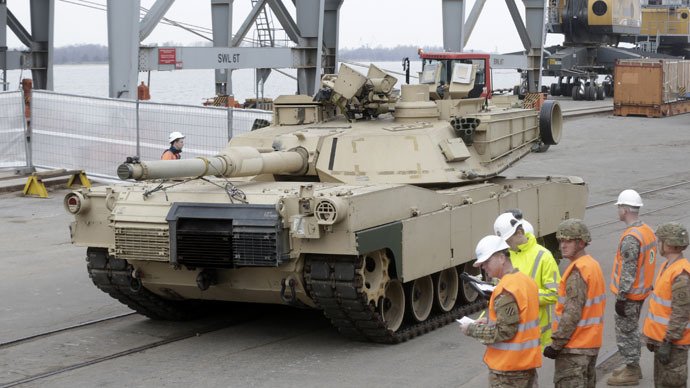 Altogether, 10 armored off-roaders have been brought to Kiev’s Borispol airport aboard a US Air Force military tactical freighter. Ukrainian President Petro Poroshenko personally attended the “presentation” ceremony and even drove one of the vehicles. 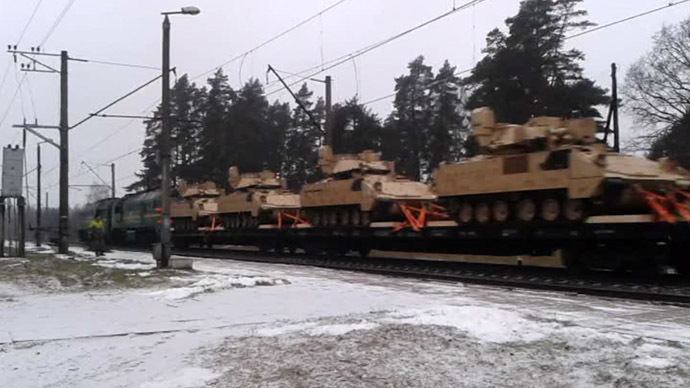 The HMMWVs (Humvees) are being delivered to Ukraine within the framework of non-lethal military aid promised to Ukrainian authorities by Washington. Though the announced help is non-lethal, the newly delivered Humvees have armored defenses and bulletproof glass. Each vehicle has a pre-mounted machine gun turret on top of it (without the actual weapon, though). In a phone talk with US Vice-President Joe Biden two weeks ago, Poroshenko thanked Washington for the allocated $75 million help, which includes, among other positions, reconnaissance drones, communication equipment, night vision goggles, artillery fire detection radars and Humvees. Ukrainian armed forces expect Washington to supply 230 armored Humvees to Kiev, Colonel Andrey Lysenko told Forbes Ukraine. Ukrainian armed forces have some experience of operating Humvees brought to troops earlier. One such vehicle was captured by the Donetsk rebel militia after the elimination of the Ukrainian task force in the Debaltsevo pocket in February. Kiev has recently also bought a batch of British-made Saxon armored vehicles for $50,000 apiece. The ceasefire agreement currently in effect in Ukraine is not respected by Ukraine’s armed forces, which continue shelling of the settlements and cities under the control of the rebels. Ukraine authorities in their turn also blame the militia for ceasefire violations. Despite the latest Minsk ceasefire agreement signed February 12, civilians are still being killed when shells hit residential buildings, schools, hospitals and public transport. Last week, Russian Foreign Minister Sergey Lavrov called on Germany and France to take action against Kiev’s non-compliance with the peace agreement. According to Lavrov, Kiev didn’t make an effort to start dialogue with the self-proclaimed republics of Donetsk and Lugansk on the modalities of elections there.